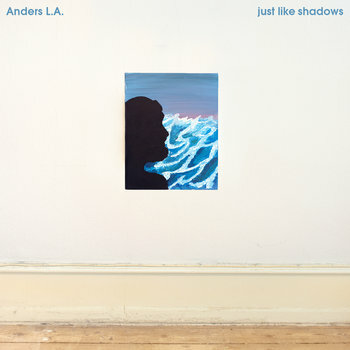 Review: Just Like Shadows by Anders L.A.
Just Like Shadows by Anders L.A. (9/10): Anders is a 21 year old singer-songwriter who is based in Copenhagen, Denmark who released his first album in 2009. Now with a fresh album released May 17, 2013, Anders is breaking onto the scene with a calming sound. Just Like Shadows gets its name from a Bruce Springsteen song. Fittingly, Anders counts Springsteen among his influences, along with Neil Young, George Harrison, and Dire Straits. What I love about this release from Anders L.A. is that the sound is very minimalistic, yet the lyrics are thought-provoking. Some of my favorite lyrics on the album come off the song ‘Truth,’ “The lie may hurt but the truth it kills.” The album as a whole is wonderful when you just need to crack open a beer and unwind; it’s difficult to restrain yourself from tapping your foot to the beat. Believe it or not, my favorite instrument on the album is the tambourine; every time it comes in, I find my head bobbing up and down. One interesting thing about the album is that the track ‘Stages’ is fully a capella. Normally, I hate a capella, but Anders L.A. pulls it off very nicely here. Overall, this is an excellent album that nearly puts itself on the level of Amos Lee and other acoustic albums of recent years (but falls just short) and is definitely worth a download. Enter your email address to follow this blog and receive notifications of awesome, new posts music by email.